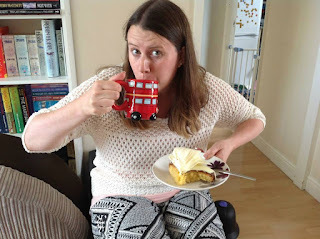 This week I am delighted to be having a slice of cake with indie author Ellwyn Autumn. Ellwyn Autumn is an American author and a certified teacher with a Master’s Degree in Education. She writes children’s picture books, middle-grade novels, and Young Adult fiction. Ellwyn’s first self-published novel, Chris Kringle’s Cops The First Mission, was a Finalist in the 2016 Reader’s Favorite International Book Contest. 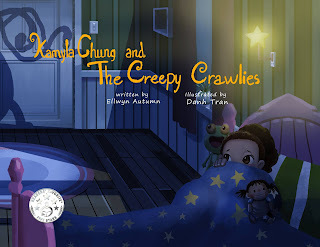 Her Kamyla Chung picture book series addresses difficult issues facing young children. Ellwyn discovered her passion for writing in second grade when she had to write a book report for school. She was so excited to write the report until her mother told her that she had to write about someone else’s book and not her own story. Ellwyn became indignant and decided that once she finished the book report she would most certainly write her own original story. She has been writing ever since! Ellwyn lives with her family in Pennsylvania. She loves all things magical, curling up with a good book, writing stories, and almost anything with chocolate in it. I write children's picture books, middle-grade novels and YA stories. Most of my stories are fantasy based. 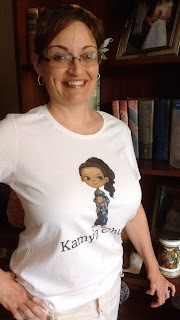 However, my picture book series, The Kamyla Chung Series, is realistic fiction and deals with difficult issues children face every day. Subjects like bullying, foster care and different fears children deal with. I've also written a Teacher's Guide for the first book in the series, Kamyla Chung and the Creepy-Crawlies. I find motivation all around me. Music, reading a good book, watching a great movie, observing people, listening to news stories, sometimes just walking down the street lost in my own thoughts will spur an idea. The crowd parted and an unusual figure emerged. He was three-and-a-half-feet tall with a slick V-shaped hairline, a long, thick scar on one cheek, and a tiny tattoo of a bulldog in sunglasses on the other. Patty thought she saw little z-z-z’s buzzing from the dog’s mouth, but that was impossible because tattoos didn’t sleep. Or did they? She looked again at the little buzzing Zs. Were they inked onto the little man’s skin or really moving as the tiny dog snored? She couldn’t tell. She shook the thought aside. There was too much happening to worry about a silly tattoo. Patty eyed the little man’s black, leather trench coat and sunglasses with curiosity. She had never seen anyone like him before. He whipped off his glasses and glared at her. His black-studded boots thundered against the floor. “You,” he boomed, stomping over to her and Sean. Patty suddenly felt intimidated by the little man. Like a menacing storm cloud he came up, his beetle-black eyes flashing dangerously. Patty took a fearful step backward. Although he only reached Patty’s belly button, the anger that bubbled in the little man made him seem enormous. 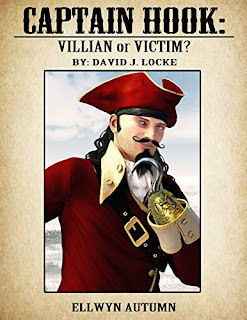 I have a story about Captain Hook called Captain Hook: Villain or Victim By: David J. Locke. It's Hook's side of the story about what happened between him and Peter Pan. I had a great time writing it, giggling and laughing out loud sometimes was part of the process for this story. There were times when my family looked at me like I was crazy. What's so funny about staring at a screen and clicking away at a keyboard? It's something only writers would understand. I hope my readers have as much fun reading it. Ah, now we're getting to the good stuff. I like a layered, fudge chocolate cake with fudge chocolate icing. In case you couldn't tell I really, really like chocolate. I'm also open to a good white cake with buttercream frosting or chocolate & vanilla ice-cream cake with sprinkles. 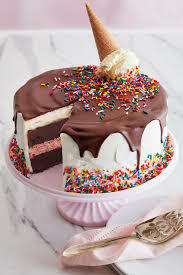 I've never had a chocolate & vanilla ice-cream cake with sprinkles before so I feel the need to rectify that immediately! Check out Ellwyn's website and follow her on Twitter and Facebook. All of Ellwyn's books are available on Amazon. 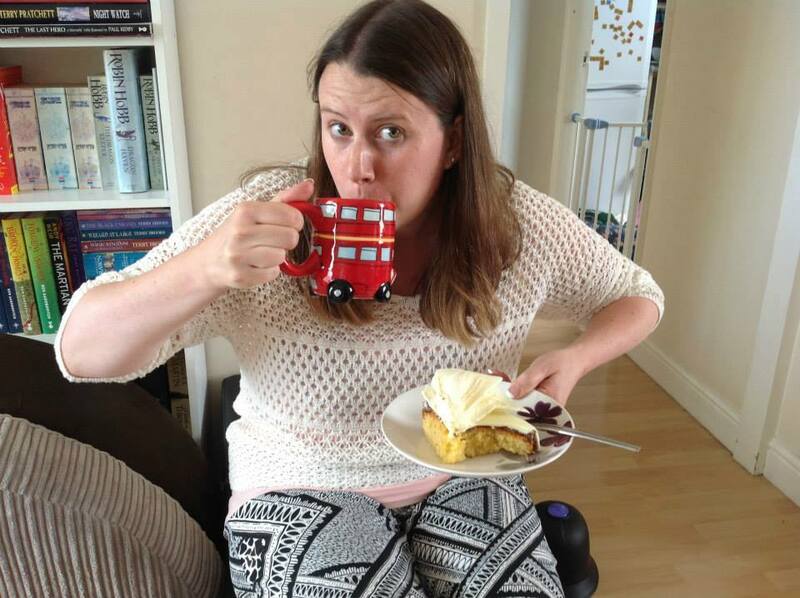 Join me next week when I'll be having a slice of cake with Sarah Burhman.